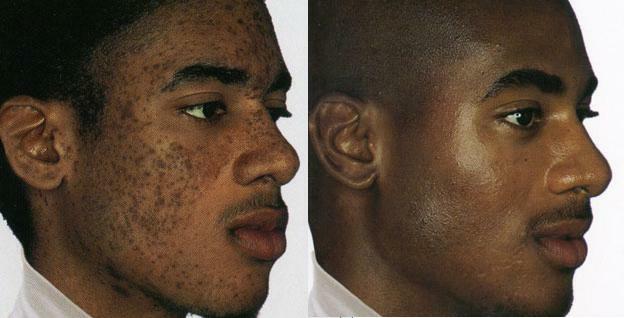 There are many things in life that cause the skin to appear damaged or to lack a healthy look. Ordinary aging, acne and exposure to the sun caused the skin to become spotted, wrinkled, scarring and even changes in the skin tone. A chemical peel removes the damaged layers and brings newer healthier cells to the visible surface. Chemical peels improve and smooth the texture of the facial skin using a chemical solution. This solution causes the outer layer of cells (dead skin) to slough off or to eventually peel off. The newly exposed regenerated layer of skin is shows less signs of damage in most cases. It is usually smoother, clearer and less wrinkled than the old skin. Some chemical peels can be purchased and administered without a medical license using over the counter products. This is not recommended it is best to enlist the expertise of professional help from a dermatologist, esthetician, plastic surgeon, or otolaryngologist. These professionals can best determine the type of derma peel suited best for you. This entry was posted in Uncategorized and tagged acne, chemical peel, less wrinkles, smoother skin, sun damage by Michael James. Bookmark the permalink.